"...Laura Davis is starting a new challenge blog called Poppy Sketches that will launch on March 31! Sketches, sponsored prizes, and fun twists await! Watch for more info and links coming soon! You can check out Laura's Blog - The Paper Poppy to keep up with the latest on the Poppy Sketch Challenge Blog." 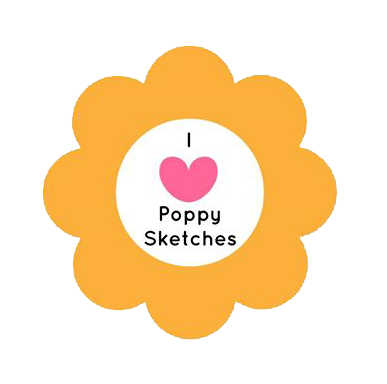 I'm looking forward to being apart of the Poppy Sketches Design Team! Soooo exciting! Looking forward to working with you! YES!!! We are gonna have so much fun!! I'm looking forward to working with you!! awesome!!! so glad to be able to reconnect with you again Renee. I've always loved your work. HOOOOOOOORAY! This is soooooooo exciting! Can't wait to see what you share/create <3 HUGE Congrats!